Is a Commercial Truck Wash in Your Future? Do you have a location or a piece of land in mind? If you answered yes, we can help. A single wash bay retail site needs approximately two (2) acres of land which then allows your largest vehicles to comfortably turn around. Once you have your location, Westmatic will work alongside the owner, architect, engineer, and contractor to develop site-specific plans for infrastructure and utility requirements for your new facility. 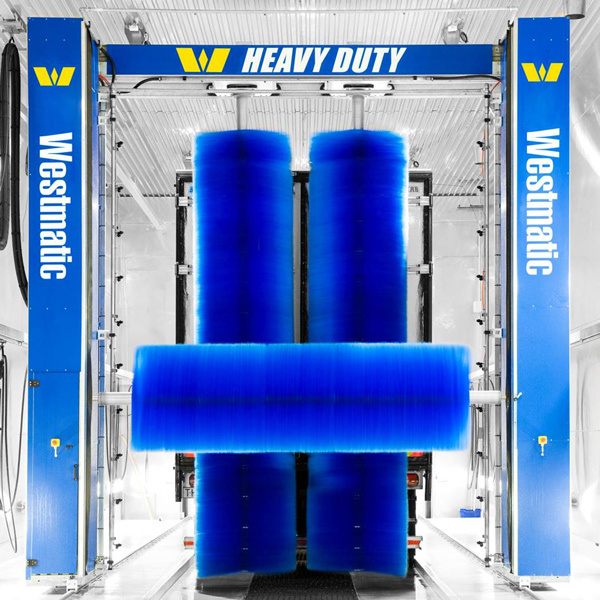 Westmatic will manufacture, deliver, and install your new truck wash system. As a business owner, you are responsible for planning, site work, building infrastructure, and general contracting work. Financing through Ascentium Capital is available. Look for the link at the bottom of this page. Our machines offer low operating costs, which guarantees a return-on-investment and keeps your costs at a minimum. Our machines are custom built for your business model and tailored to meet your facility's requirements. Most commercial truck wash operations use our Westmatic Heavy Duty Three Brush Rollover. On a rollover or gantry machine, the vehicle pulls into the wash bay, parks, and the machine washes back and forth on a floor-mounted rail system. The Heavy Duty Rollover can wash in a brush mode, touchless mode, or combination of both - making it an extremely versatile machine capable of handling a wide variety of over-the-road vehicles including tractor-trailers, tanker-trucks, reefer/refrigerated trucks, cargo/sprinter vans, and more. Our machines are incredibly efficient when it comes to consumables. Westmatic's equipment uses less water, chemical and electricity compared to other manufacturers, allowing you to maximize profits while being mindful of the environment. We've teamed up with a specialized financing company, Ascentium Capital, who stands ready to help finance your new truck wash facility and equipment. Ascentium offers competitive payment options and their 100% Financing Program allows you to include tax, shipping, installation, and other costs.